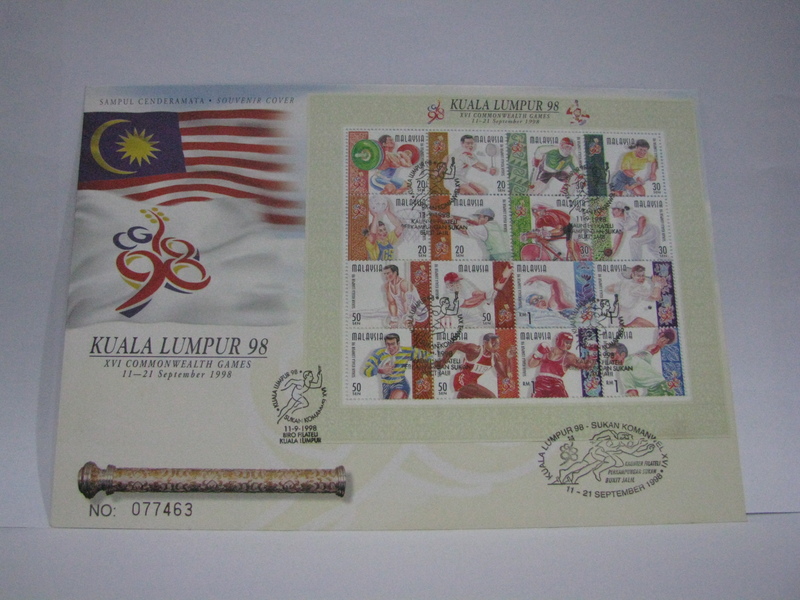 1998 is probably the beginning of a number of years of over issuing of covers and gimmicks. This was to be the start of the craze in Philately and also the beginning of the decline of serious Philately. However many of the issues are very memorable. This issue’s cancellation came in 2 different sizes! 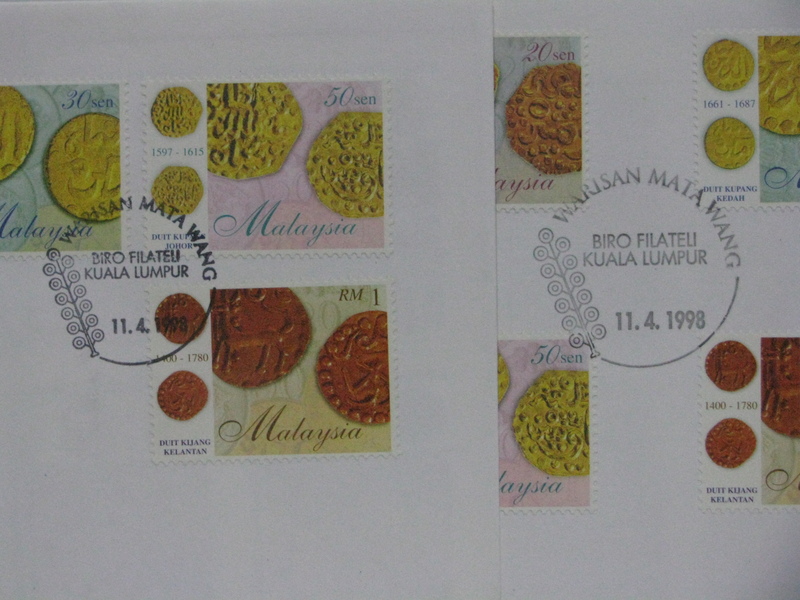 Here is the cancellation from the Kuala Lumpur Philatelic Bureau counter. 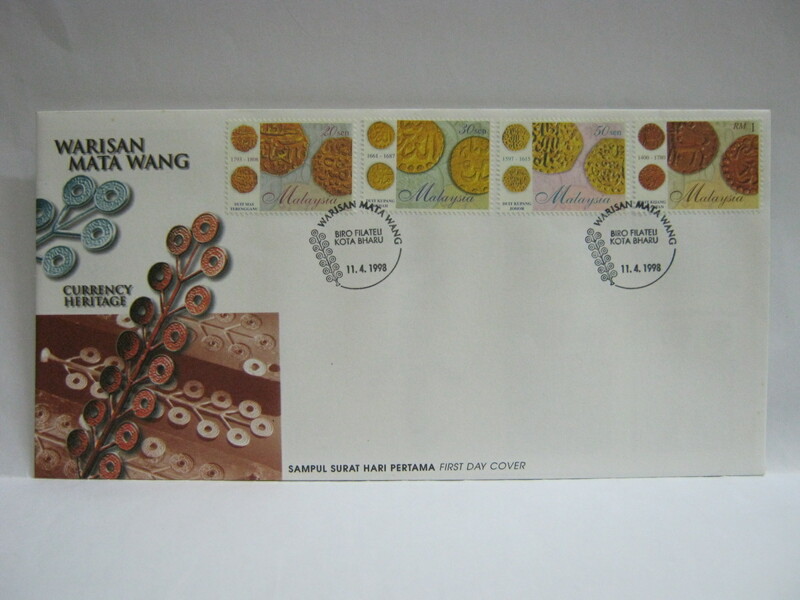 Here is the cancellation from the Kuala Lumpur Philatelic Bureau SODA account division. Here is the side by side comparison (SODA (smaller) on the left of the picture and Counter (larger) on the right of the picture). 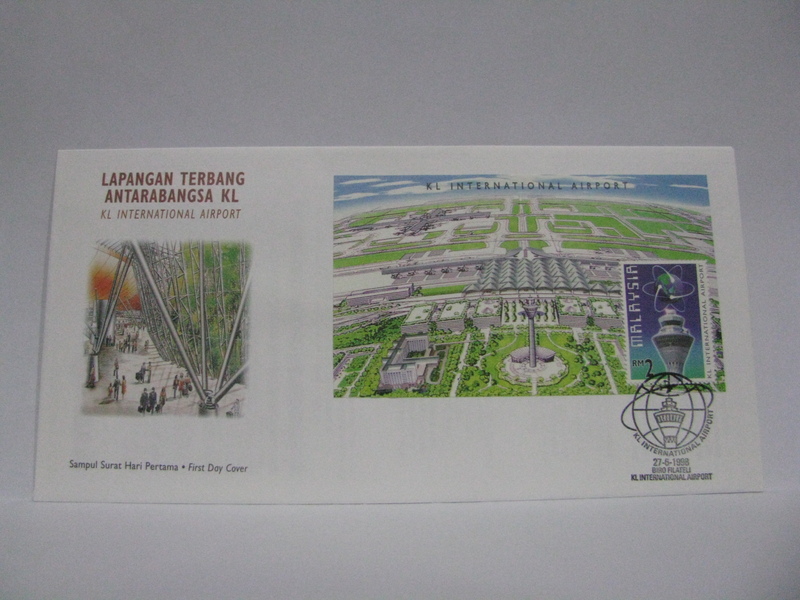 This FDC was cancelled in Kota Bharu. Both FDCs were cancelled in KL International Airport. 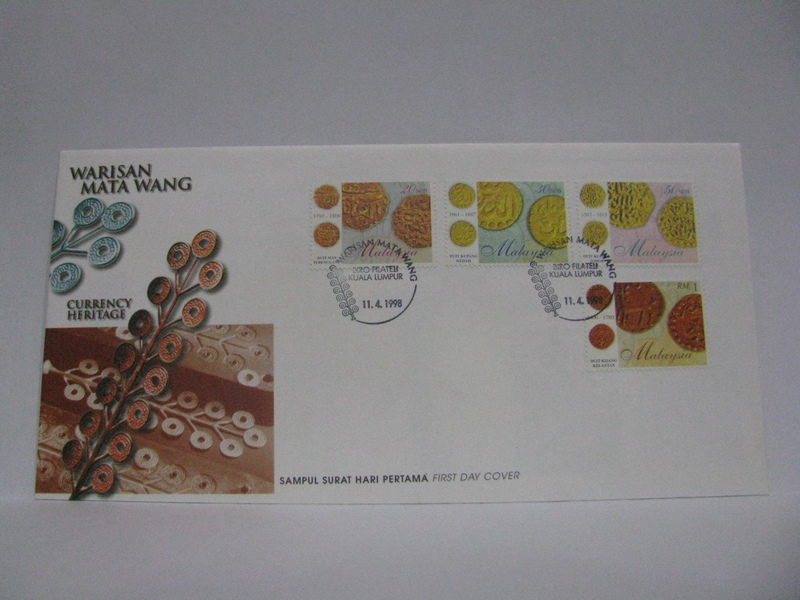 The FDC was cancelled with the Perkampungan Sukan Bukit Jalil temporary Philatelic counter in the Bukit Jalil Games Village as well as the Commomwealth cachet. 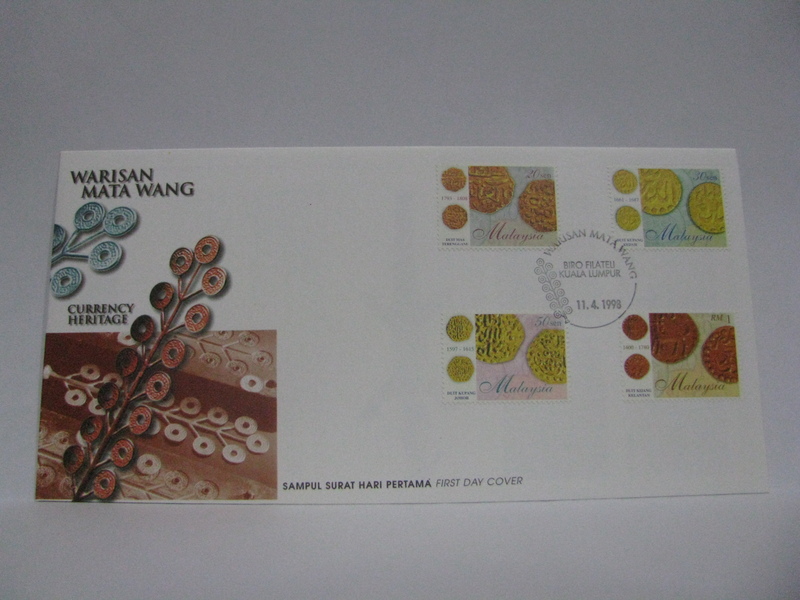 This is a commemorative souvenir cover issued on the same day in a Portfolio (basically a folder with a serial number). 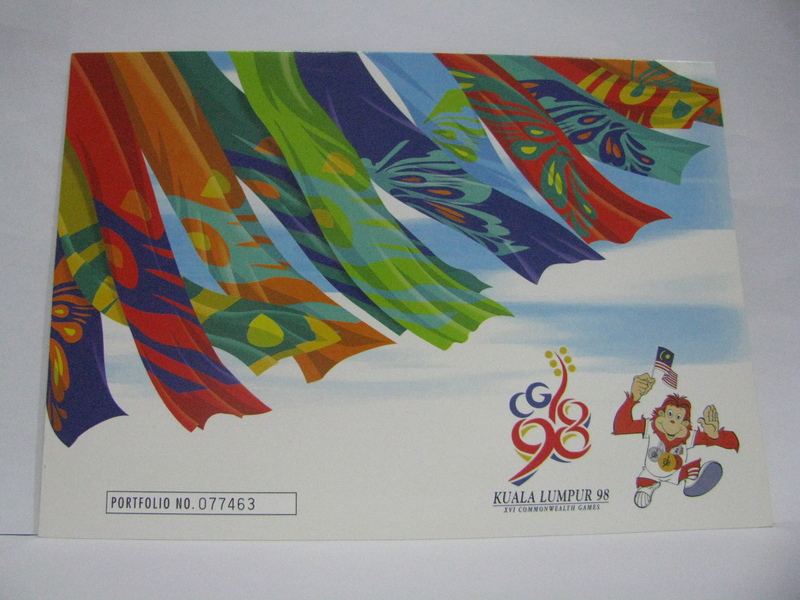 The commemorative cover was cancelled with the Perkampungan Sukan Bukit Jalil temporary Philatelic counter in the Bukit Jalil Games Village as well as the Commomwealth cachet. There is an extra Kuala Lumpur cancellation. 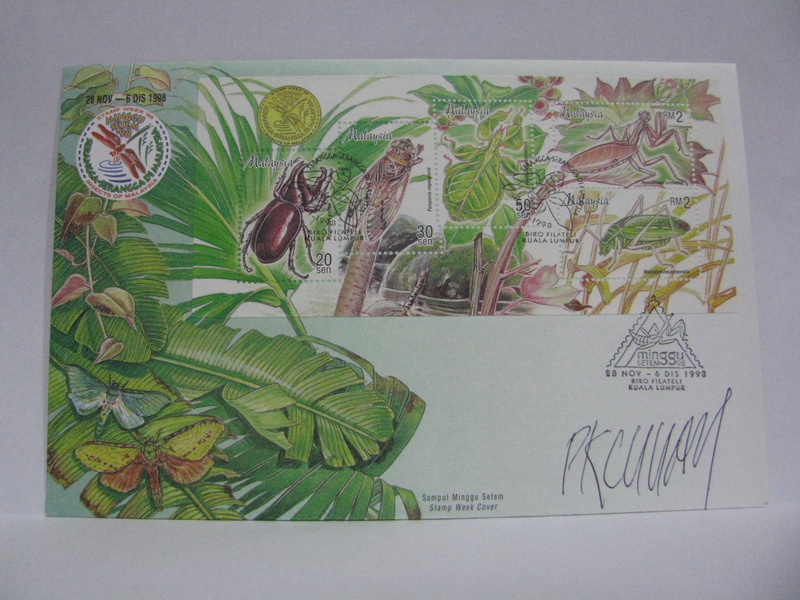 The FDC was cancelled in Kuala Lumpur and signed by the designer, PK Chuah. 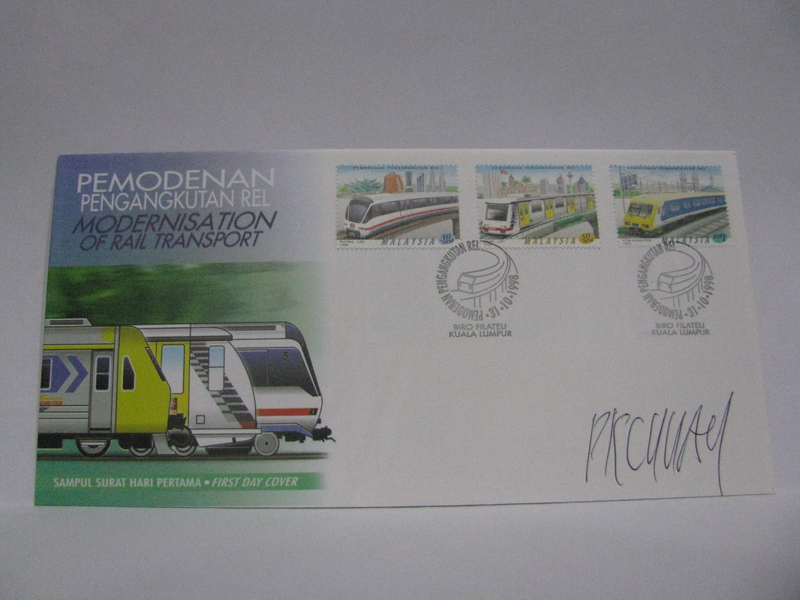 This FDC was cancelled in Sentul, Pelabuhan Kelang, Rawang, Seremban and Kuala Lumpur. 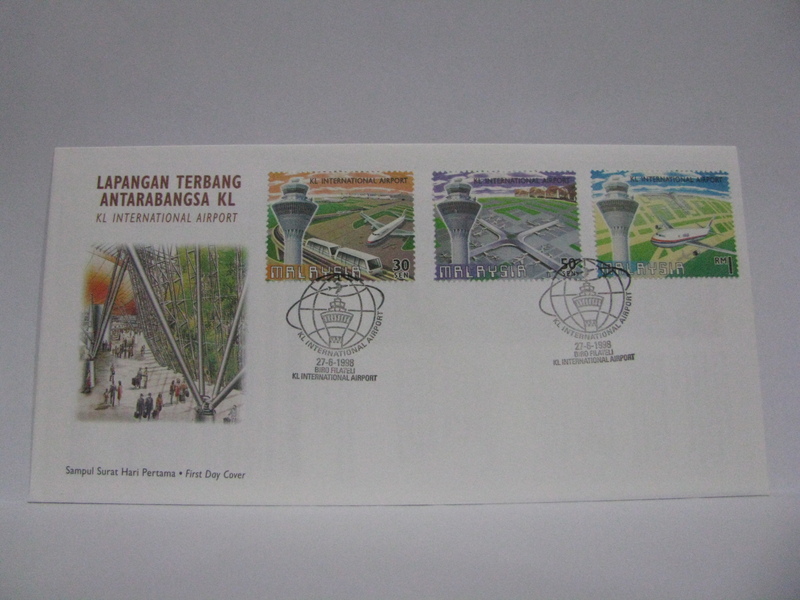 The FDC was cancelled with both the Kuala Lumpur and APEC 98 KL cancellations on the first day of issue. 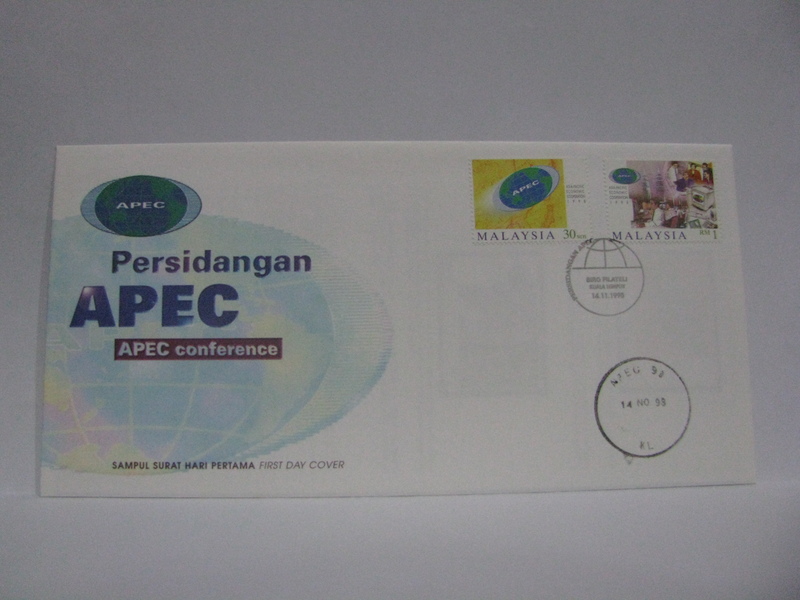 The APEC Post Office was a temporary post office for the conference using the postmark APEC 98 KL. 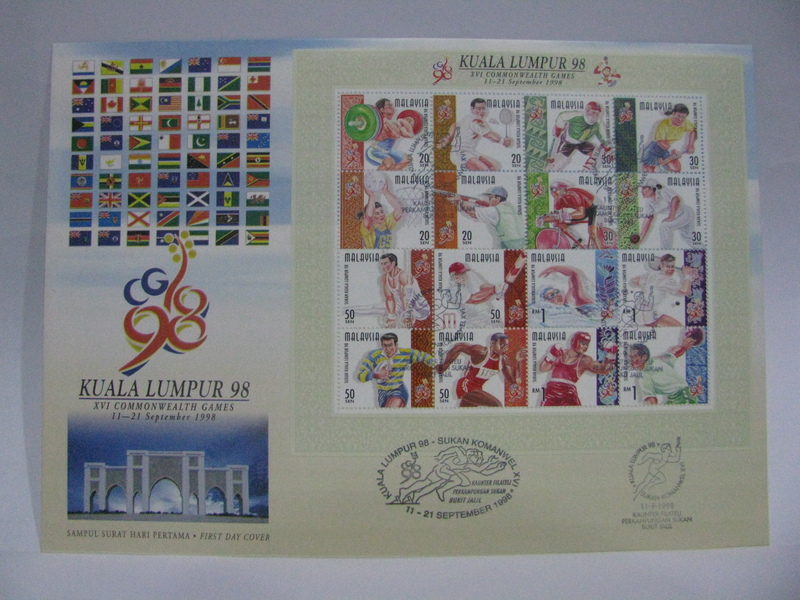 The FDC was cancelled in Kuala Lumpur along with the Stamp Week ’98 cachet. It was also signed by the designer, PK Chuah.